Today has become the unofficial start of basketball season to many as the most popular basketball video game has hit the shelves. 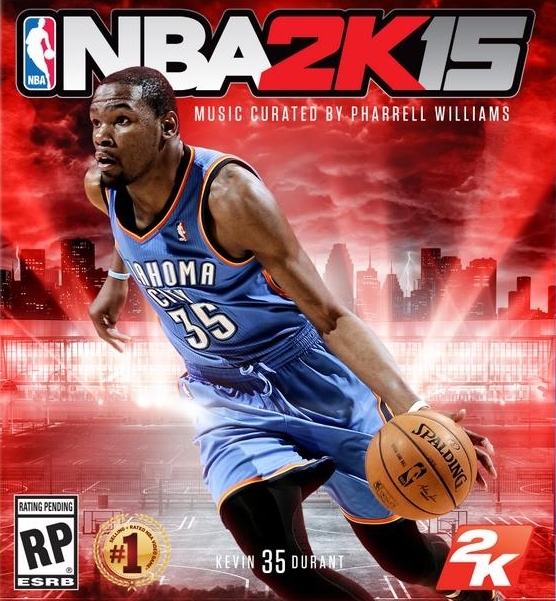 EA Sports’ NBA 2K15 is this year’s version of the basketball game that comes with many new features, including a face scanning capability that puts you in the game more than ever before. It has become a ritual for me to go and buy the NBA 2K series every year when it comes out, and every year I am even more impressed than the last. This year is no different. Granted, I am only three games in and have not even touched any of the game modes (my impressions on those coming in the next few days), but so far so good. Right off the bat as you enter your first exhibition game you hear a new voice: Turner Sports’ Ernie Johnson. Every basketball fan can recognize his voice and it is a nice touch as he and Shaquille O’Neal have been added to do pre and post game shows (I have not seen these shows actually in the game yet because I believe they only happen in franchise or other game modes). Speaking of voices, just around the corner was the first part of the game I was really disappointed with. I thought I was hearing things as Steve Kerr, new head coach for the Golden State Warriors, is still one of the in-game announcers along side Kevin Harlan and Clark Kellogg. I was disappointed to see such a simple adjust has yet to have been changed. One of the games I played was against Kerr’s Warriors and there he was standing on the sideline as he commented the game. Just weird. As for some visuals you notice right away that the camera cuts away after a made basket or big play to a particular player just as television networks do during real game broadcasts. While it seemed a bit redundant at first I have already grown into liking this addition as it now feels more like a real broadcast (besides for the announcers. still shaking my head, step it up 2K). I also really liked how the players’ names seem to disappear more quickly and often once you switch players. Both of these subtle changes makes the way the game looks that much more real. As many of the 2K games have in the past the gameplay in this year’s game is noticeably new and improved. Players move much more life-like, contact between players just feels right and blocked shots have been changed for the better. Gameplay is definitely better than last year and is hard to describe; you have to just play it to understand. The new courts are also in the game and are spot on. I personally played with the new Charlotte Hornets and both their jerseys and honeycomb-patterned court are very well done (as cool as it was playing with the new-look Charlotte Hornets it just felt like one thing was missing from a young and improving playoff team). I expect the same in Toronto as the Raptors have finally gotten rid of the 3-dimensional looking things under their baskets. I am still a little disappointed to see the crowd lighting in Brooklyn (and I am also guessing at Madison Square Garden) are still not fixed from last year. When watching games at these two venues on television the court is lit while the fans appear to be sitting in the dark, giving the court a kind of “stage” feel. I would love to see this in the video game as well. Overall I give 2K15 an A- and it is definitely worth the $60 you will have to pay to play this game. As I said above I will be back with more reaction from the game modes as I dive into the game further and see what other changes have been made. The basketball fan in me is very happy to announce 2K season is finally here. This entry was posted in Home, NBA and tagged 2K Season, 2k15, Brooklyn, Charlotte Hornets, MSG, NBA, NBA 2K15, Shabazz Napier, video games, xbox360. Bookmark the permalink.